Text in Hungarian. Illustrated throughout with black-and-white cartoons. pp. 30, (2). Original pictorial printed wrappers in gilt. 8vo. 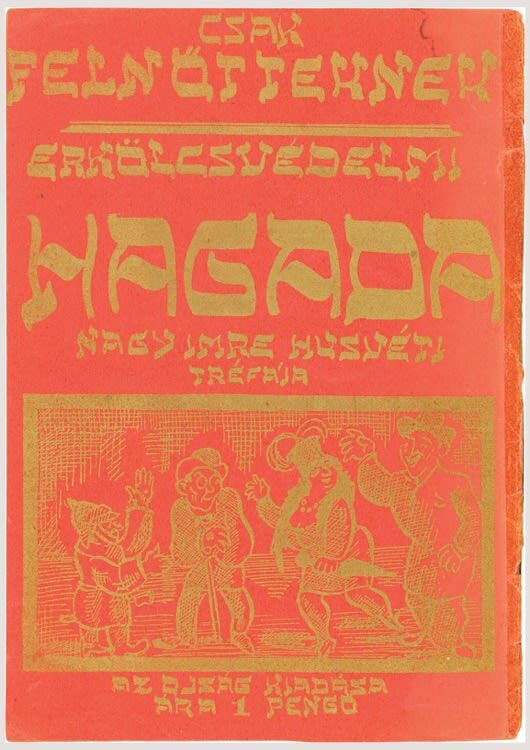 An unusual and uncommon parody of the Passover Hagadah.